Halloween is such a fun holiday! I love to celebrate all month long. 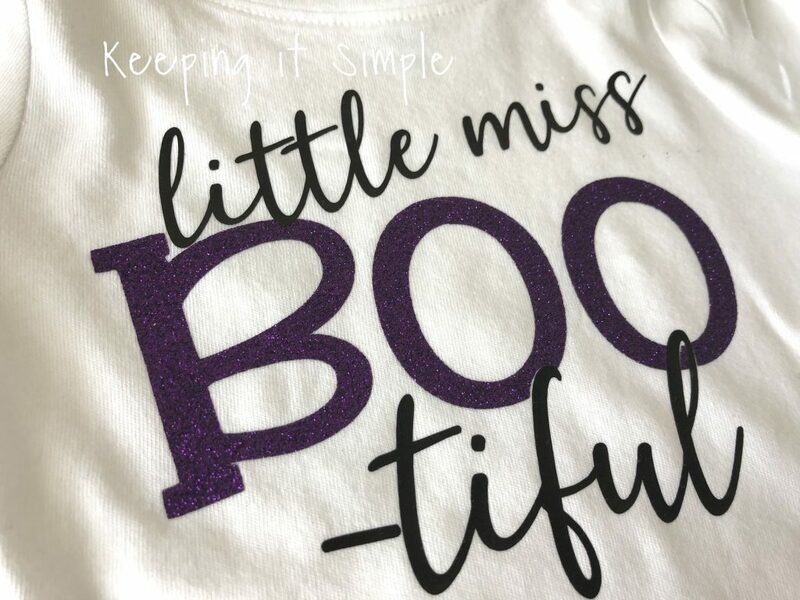 One way that I like to celebrate is by making fun shirts for kids. 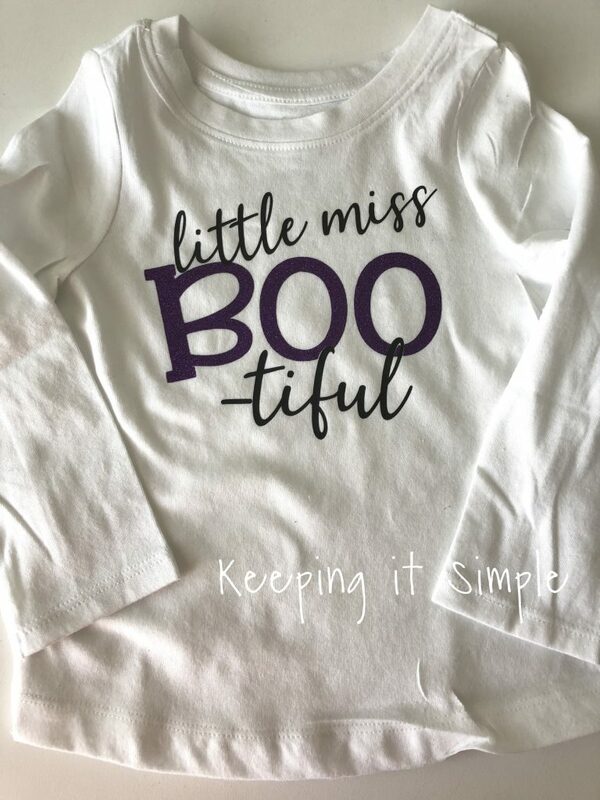 I especially like making shirts for my daughter because my boys don’t seem to care as much. 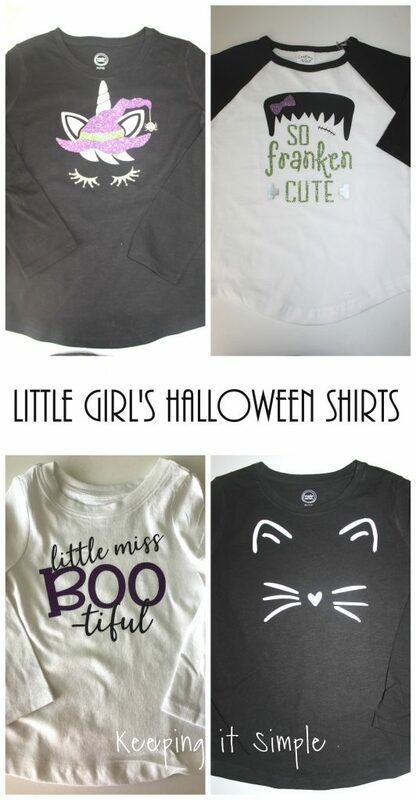 I wanted to share with you some fun little girl’s Halloween shirts and of course the cut files too :). I’m not going to show you the process of making these shirts, but here is a quick video so you can see it. 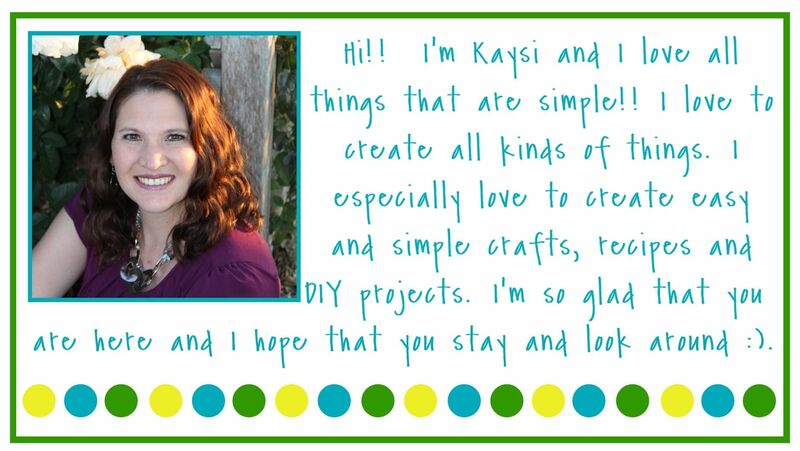 If you want to read about the whole process, check out this tutorial here. 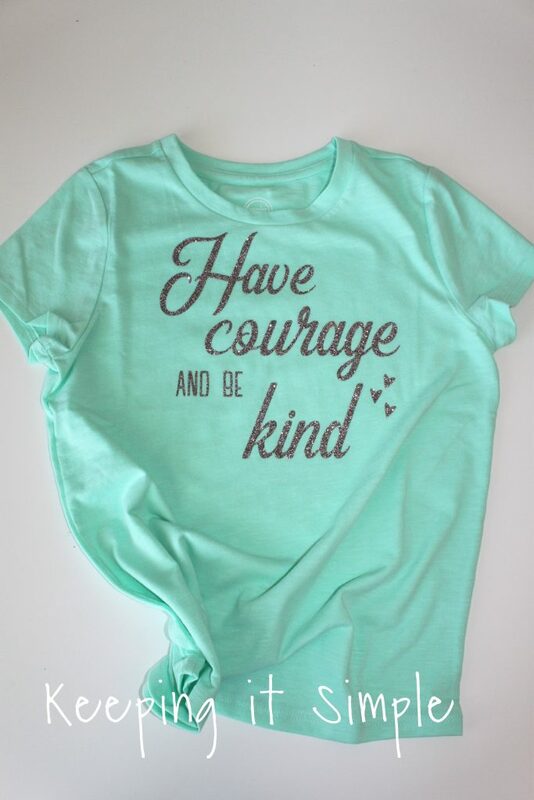 For these shirts I used heat transfer vinyl and my Silhouette CAMEO. I also used a heat press but you can use an iron too, you just have to make sure that you put enough pressure onto the iron that it gets a good seal onto the fabric. Several of the designs have mutliple colors and layers, so I used a heat press cover sheet in between layers to protect the HTV. This or multi use paper is also needed when using an iron. When cutting the designs you have to remember to mirror the image before cutting and putting the shiny/plastic side down onto the mat to cut. 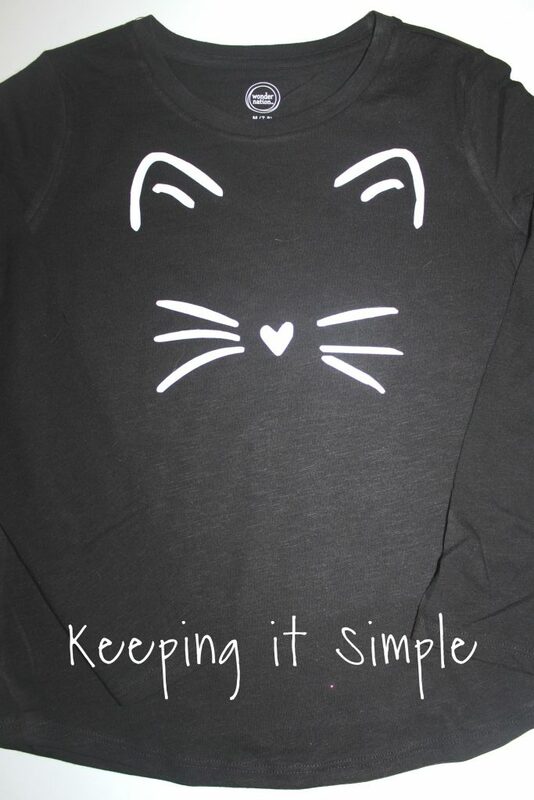 For my daughter’s shirt (she is 8), I cut the design to be about 7 inches wide. 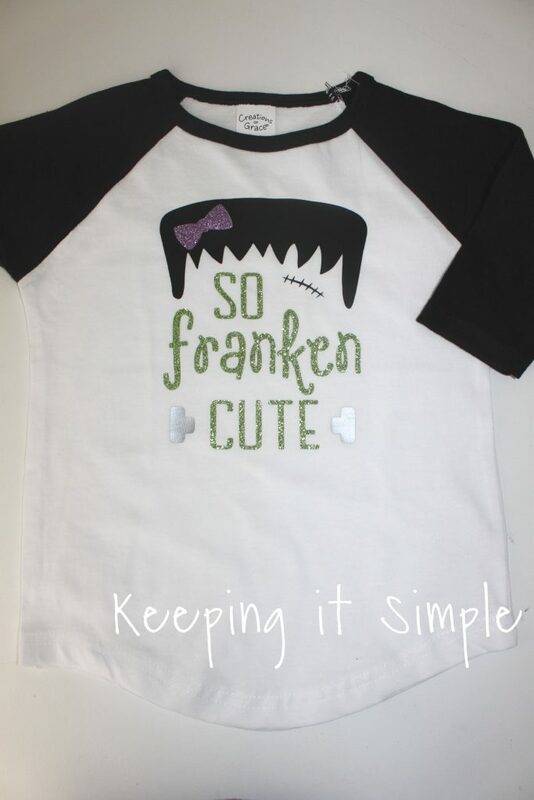 For a toddler age, you will want to cut the design around 5 inches. My favorite places to find shirts is Walmart, Target and Hobby Lobby. The two long sleeved shirts are from Walmart, the white long sleeve shirt is from Target and the little baseball tee is from Hobby Lobby. Now let’s get to the shirts :). 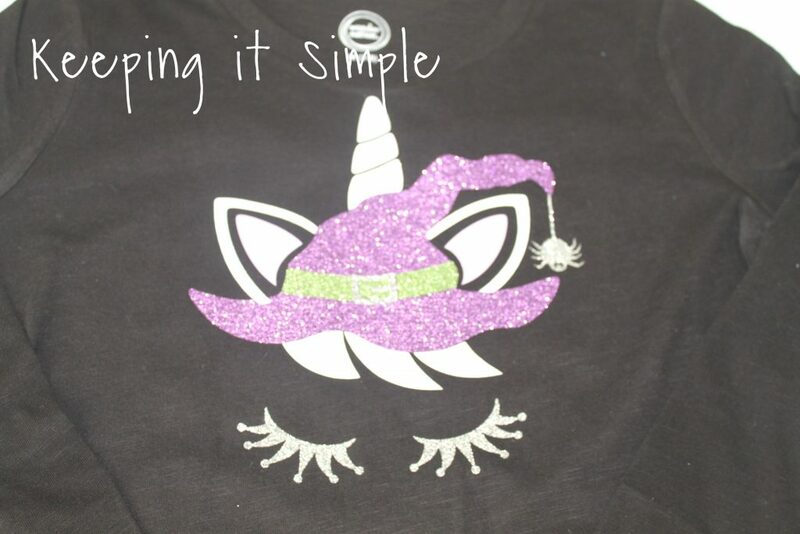 For this shirt I used glitter heat transfer vinyl in colors white, lavender, light green and silver. For the inside of the ears, I used an Easyweed HTV in the color lilac (it’s hard to see on the shirt, the lighting makes it look white). 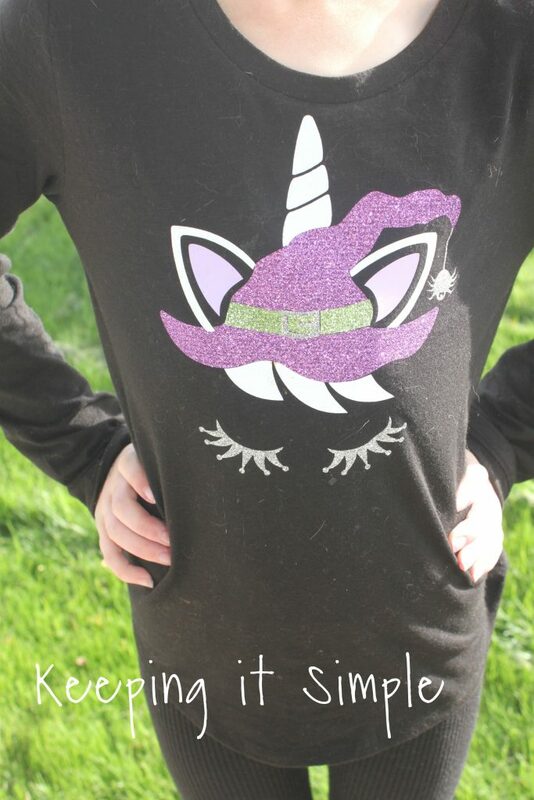 Here is my little girl wearing the unicorn witch shirt, she loves it! 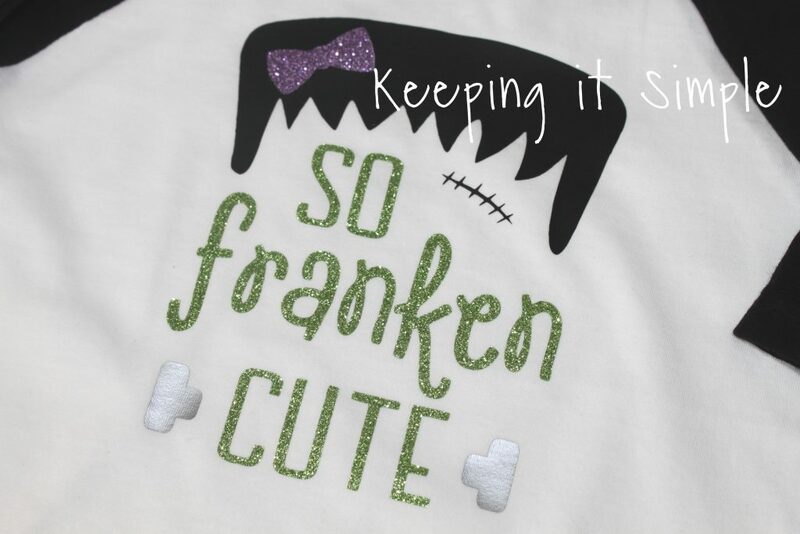 For this cute shirt I used a stretch Easyweed HTV in silver and black and then the glitter HTV in light green and lavender. 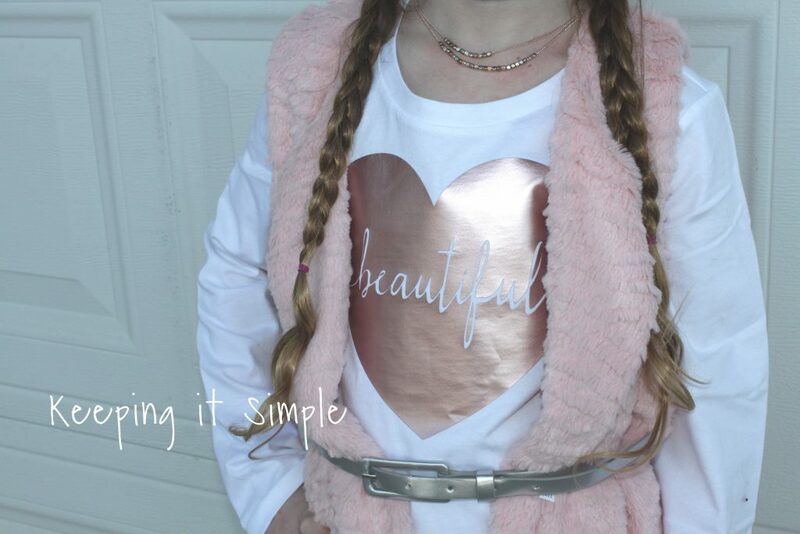 For this shirt I used a white glitter HTV. It super pretty because the white looks amazing on the black and the glitter is subtle and elegant looking. 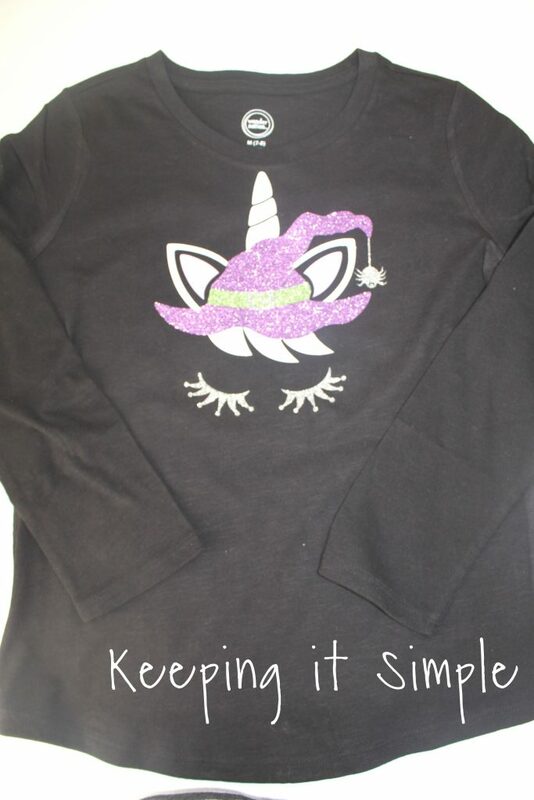 For this cute shirt I used a stretch Easyweed HTV in black and a glitter HTV in purple. 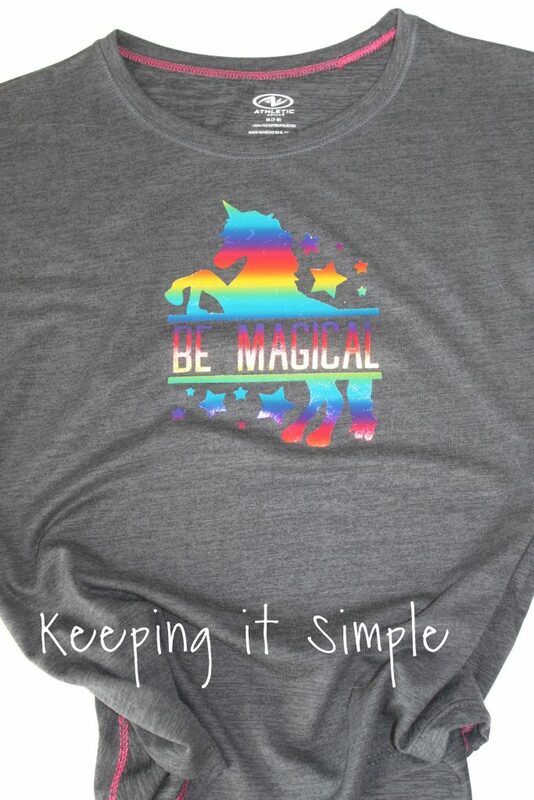 When you are making shirts, it never hurts to wash them before adding on the HTV. Sometimes the ink of the fabric will dye the white HTV. Also when washing these, you should turn them inside out and then tumble dry low or hang dry. That will make them last longer. Check out this chart for all the info and settings on how long and what temperature to use for the different kinds of heat transfer vinyl. 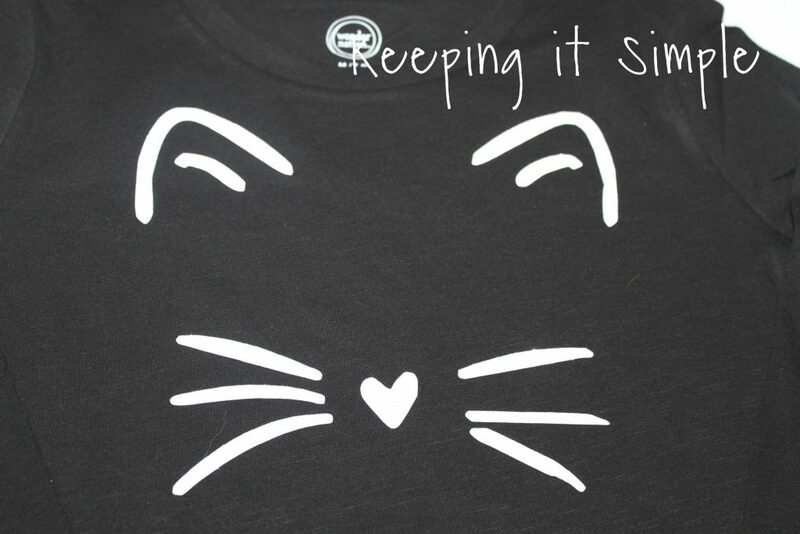 Make sure to check out all the other shirts that I have made to!